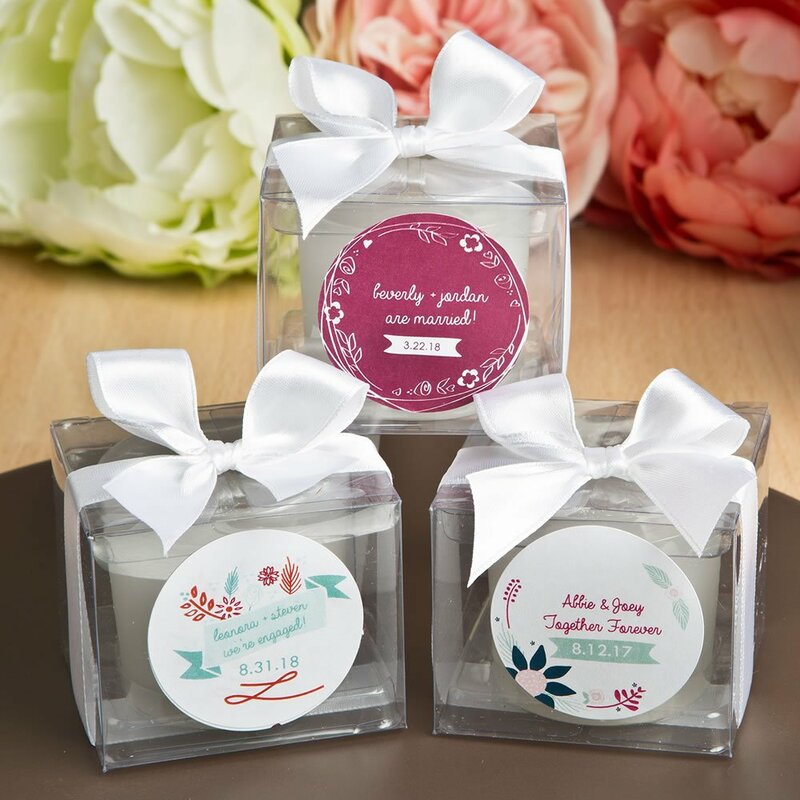 Keep love's flame burning bright with Fashioncraft's Vintage Design Collection candle favors. Enchant your guests with a personal, unique and heartfelt gift. Our beautiful votive holders are crafted from frosted glass holder and have a poured white candle inside. Each comes beautifully packaged in a clear acetate box, wrapped and tied with a white satin bow. Personalize your votives with a vintage style label, designed by you, in colours and themes to match your special event. The labels come on pre-cut sheets and are easy to peel off and stick onto the acetate box. These votives make stunning favors for a variety of events from sweet 16's to weddings, bridal showers, birthdays and anniversaries and your guests will be charmed to take one home. A stunning favor for grand occasions that will enchant your guests! Note - This item includes a personalization, color, size or design option: Ink Color (View Options) (Free of charge). You may specify this information during our checkout process.